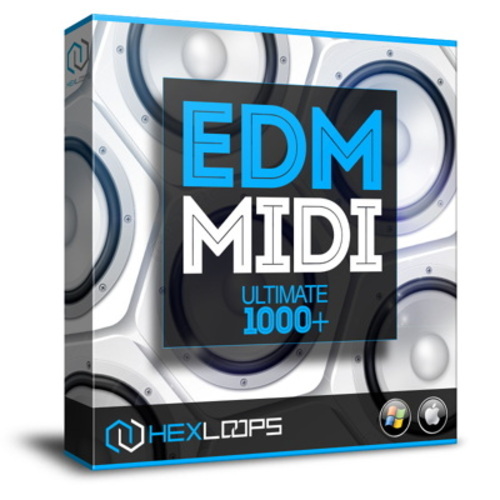 Instant download best EDM MIDI Loops Files - Ultimate 1000+ Pack. This EDM MIDI loops are inspired by the sounds of world famous EDM artists and producers such Tiesto, Hardwell, Martin Garrix, Nicky Romero, Hardwell, Sick Individuals, Sander van Doorn, Blasterjaxx, Laidback Luke, Deorro, Nervo, R3hab, W&W and a lot more! You can use this EDM MIDI files with any daw: FL Studio, Ableton Live, Apple Logic Pro, Apple GarageBand, Steinberg Cubase, Propellerhead Reason, Persons Studio One, Bitwig Studio and any other DAW compatible with WAV and MIDI formats. These will surely make the creative process go quicker. Inspiration from every file! An excellent tool for creating top quality track with ease! Tradbit = super e-shop ... OK !! !